When you first started in Real Estate, especially if you are a Keller Williams agent, you probably read the MREA. At that time, the models and systems likely expanded your mind and painted the picture of what was possible in your business. You may have wondered at the simplicity of the models and how simple it is to become a millionaire in Real Estate. Motivated by the endless possibilities, you started your Real Estate business and got busy, really busy, and your MREA book has collected dust on the bookshelf. If the MREA is a road map to being successful in Real Estate, which it is, it should spend far more time in our hands than it does on the shelf. It’s an important part of our business at every stage because the models are key, our mindsets change, and success really is this simple. The MREA expounds on the idea that any successful person has become successful by studying others. The book talks about the concept of modeling as the “pathway to excellence” (page 36, MREA). The MREA is a gift to us since we don’t have to spend the time researching the models successful agents have used in their businesses – the writers did that for us! Models are not only necessary for us to follow when we first start our business, they are key to growth and expansion in the future. Will you be able to remember the detailed descriptions of the models in the MREA if you only read it once? If you’re superhuman, yes! 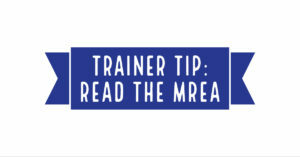 How do you think reading the MREA at every stage of your business could help you? Each stage of our business and growth will bring a different mindset that we will have to break through. The MREA addresses the Nine Ways the Millionaire Real Estate Agent Thinks in Part Two. In addition to that, it reviews the “myth-understandings” that will come between us and high achievement. If you’re hitting a ceiling of achievement in your business, you could break through it by being purposeful and reading the MREA. It will be neccessary to have a different mindset to meet the challenges you will face in each stairstep of success. Don’t cut yourself short in your mind and adjust your mindset to fit the growth you want to see in your life. In the introduction to the MREA, Gary Keller writes: “Success is less complicated than most people make it. Many, many answers can be complicated, but the answers that matter most almost never are.” The MREA breaks Real Estate models and best practices down to the most simple of terms. As we grow our businesses, things that should be simple can get very complicated. If you use models and set up great systems, it doesn’t have to be that way. On stage at Family Reunion several years ago, Ben Kinney talked about his business and expansion teams. Ben described the systems their business is built upon as being extremely simple, yet he has built a huge business and life on top of them! Returning to the simplicity of the models in the MREA can be extremely clarifying later in our businesses. When is the last time you read the MREA? Is it time to read it again? You will learn something new at every level of your business and will not regret using it as your guide. Put it in your growth plan to read it each year and watch the growth that will happen from that!